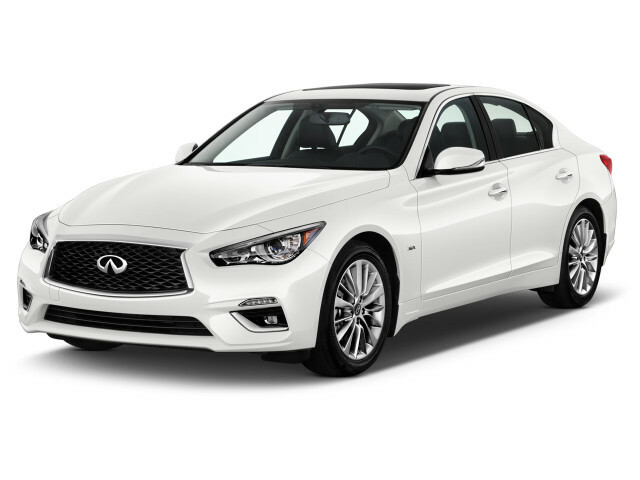 The Infiniti Q50 is a four-door luxury compact sedan. The Q50 boasts new lines and updated powertrains, but is a continuation of the popular Infiniti G35/G37 line. The Q50 was introduced for the 2014 model year, and was the first of Infiniti's cars to adopt a new naming convention. With the Q50, Infiniti has a rival for such vehicles as the Audi A4, BMW 3-Series, Mercedes-Benz C Class, and Jaguar XE. For 2019, Infiniti shelved the Q50 Hybrid and streamlined the trim lineup: Pure, Luxe, Sport, and Red Sport. The 2.0-liter turbo-4 was made available only on base models, the rest of the range is V-6 power only. Of all of Infiniti's nameplates, the G lineup, and specifically the G37, probably had the most brand recognition, so the move to the Q50 badge was initially confusing. The G37 was known for its steering and handling, an all-around gratifying driving experience for enthusiasts while still offering the luxury expected in this price class. Its faults were a tight interior and a tendency to be a bit louder than competitors. The Q50 has an obvious design link to its G37 predecessor, but brings the design up to date with a very modern, sleek profile and an interior with a much higher level of detailing. Its looks suggest a sportier car, even if the old car's focus has been muddled in the changeover. In its first two model years, the Q50 could be had with two quite different V-6 powertrains and a choice of rear- or all-wheel drive with each. 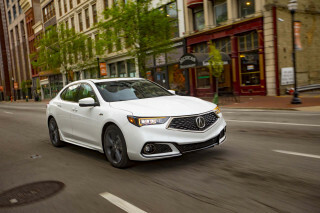 Standard-issue models made use of a 328-horsepower version of the company's tried-and-true 3.7-liter V-6 paired with a 7-speed automatic transmission. There also was a Hybrid model, featuring a 3.5-liter V-6 with an electric motor system, two clutches, and a lithium-ion battery pack—essentially the same as the setup that debuted in the M35h hybrid—altogether making a total output of 354 hp. Just two years after its redesign, the Q50 received three new turbocharged engines last year, as well as an adjustable Dynamic Digital Suspension, and a retuned version of the controversial "steer-by-wire" Direct Adaptive Steering system that debuted in 2014. Starting with the 2016 model year, the base engine became a 208-hp 2.0-liter turbo-4 found in the QX30 compact and the Mercedes CLA/GLA. The old V-6 was also ditched in favor of a pair of twin-turbocharged 3.0-liter V-6s from a new engine family. In base form, the V-6 makes 300 hp and 295 lb-ft of torque. In the Red Sport 400, it spins out 400 hp and 350 lb-ft of torque. The Hybrid edition carries over, though it has been re-rated to 360 horsepower. For 2017, the model lineup includes 2.0t, 2.0t Premium, 2.0t Sport, 3.0t Premium, 3.0t Sport, Red Sport 400, and Hybrid models. Rear- and all-wheel drive are offered. 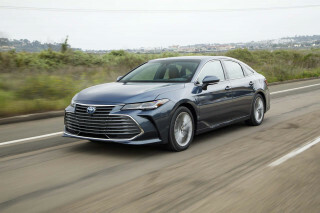 A new Sport model comes with the base 2.0-liter turbocharged engine, there's a new Design package for V-6 models, and minor equipment upgrades have been made. 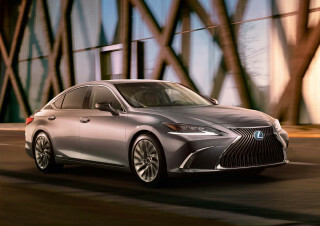 The hybrid version was dropped in 2019 and the model lineup streamlined: Pure, Luxe, Sport, and Red Sport. The 2.0-liter turbo-4 was only made available on base Pure trims. While the G37 was known for its great steering and handling, the Q50 takes a slight step back from those accolades. The adaptive suspension offers adjustable dampers and helps flatten the attitude through corners. We found, however, that the summer tires on the Red Sport 400 lack the grip we expect in a sport sedan. In fact, when pushed, no Q50 is up to the handling standards set by the 3-Series and ATS. Infiniti introduced a first-of-its-kind steer-by-wire system as an option on the Q50 in 2014 and updated it for 2016 to provide better handling and more feel. 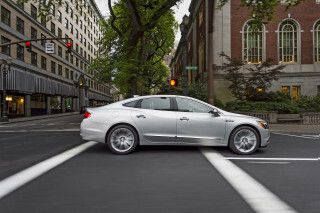 Dubbed Direct Adaptive Steering, it lets drivers choose from several settings, with adjustments for weight and ratio. Initially, we thought it provided an unnatural, video-game disconnected feel. The system became better for 2016, offering quick responses at low speed and plenty of heft at high speeds. Still, it lacks some of the feel that a good hydraulic- or electric-assist system can provide. Inside, the Q50 builds on a G sedan-sized package—meaning that rear leg room may still be on the tight side for adults. The front seats offer exceptional comfort, and the trunk is rather large at 18 cubic feet. Hybrid models lose some cargo space due to the lithium-ion battery, but they still have a 14.1 cubic-foot trunk. Trims build on the plush, modern look of the Q70 sedan, with "Kacchu" aluminum and maple wood detailing. The Q50 offers plenty of active safety technologies, including a surround-view camera system, adaptive headlights, high beam assist, blind spot intervention, lane-departure warnings and prevention, lane-keep assist, forward-collision warnings with automatic emergency braking, and backup collision intervention with rear cross-traffic alert. The Q50 comes standard with the Infiniti InTouch infotainment system, with dual touchscreens. More important info is up top and finer controls live on the lower touch display. This setup throws its hat into the ring with systems like BMW's iDrive, Ford Sync 3, and Cadillac's CUE. Infiniti's work is neither the best nor the worst implementation of a complex infotainment system. It can be difficult to remember where to expect or look for info or controls between the two screens, but the most important items are relatively easy to access. The Q50 is also the first Infiniti model to offer Infiniti Connection, a security- and concierge-related telematics service that has a companion smartphone app and provides remote monitoring (of teen drivers, for example), SOS call and collision notification, as well as a personal assistant service. A good combination of performance, style and safety. The seats can use a upgrade in material but over all the car is a pleasure to drive.